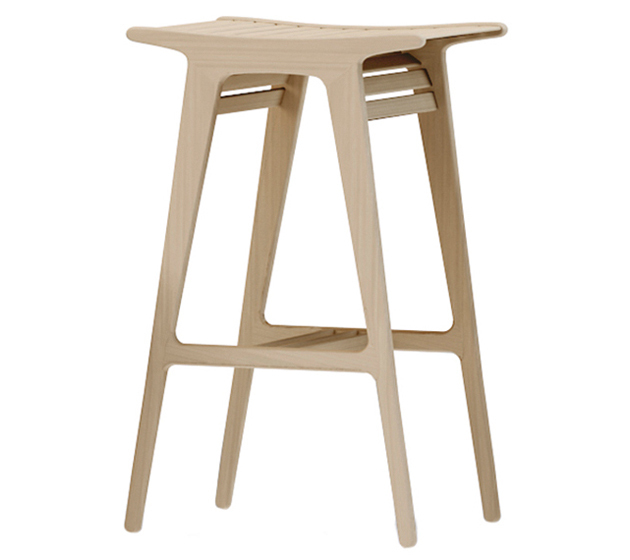 Wooden stool with four leg frame available in different finishes: dark oak, light oak, walnut, black or white laquered. Humidity resistant. 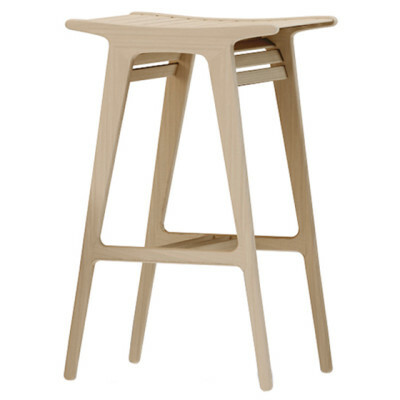 Height seat: 75 cm (29.5″) or 65cm (25.6″) .